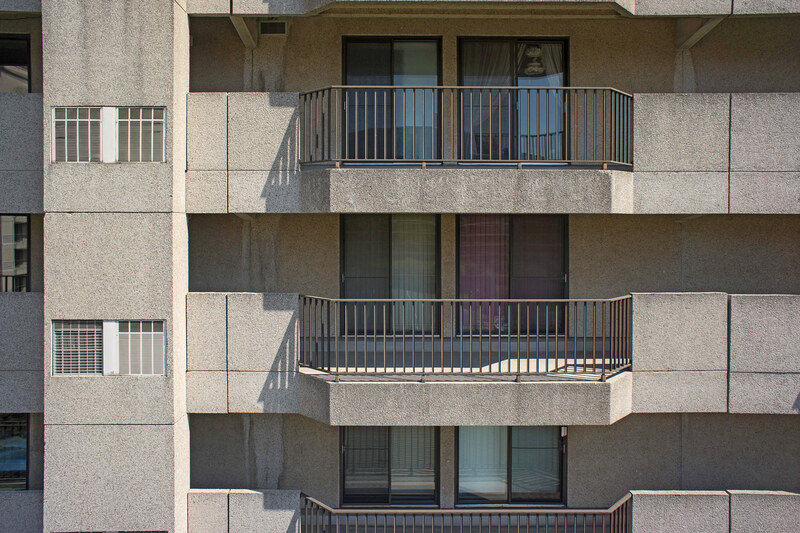 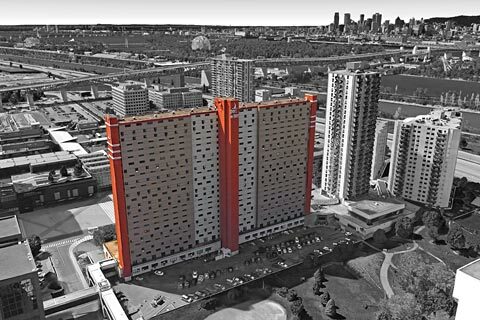 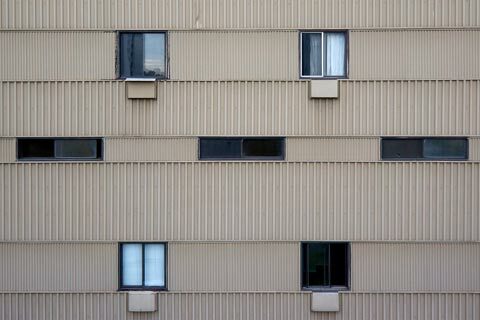 Adopted on March 18, 2013, Bill 122 of the Safety Code of the Régie du bâtiment du Québec (RBQ) mandates the complete and periodic inspection of the facades of all buildings with 5 or more storeys, following a schedule with precise deadlines. 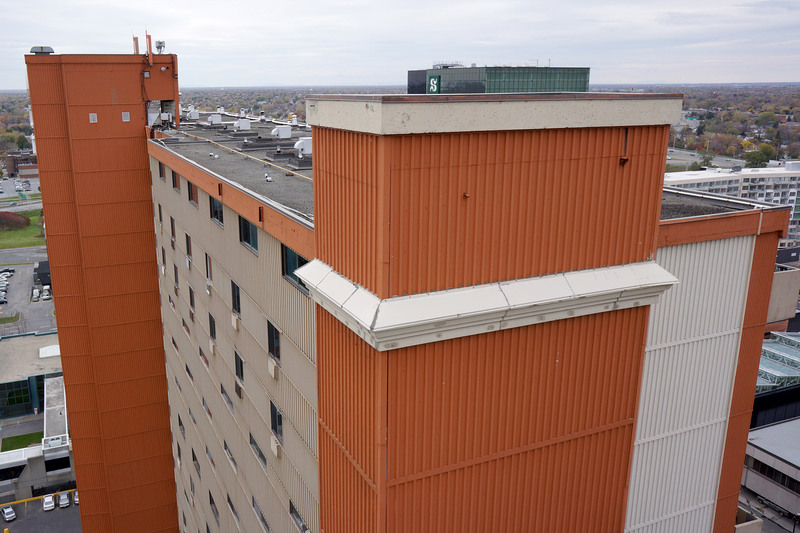 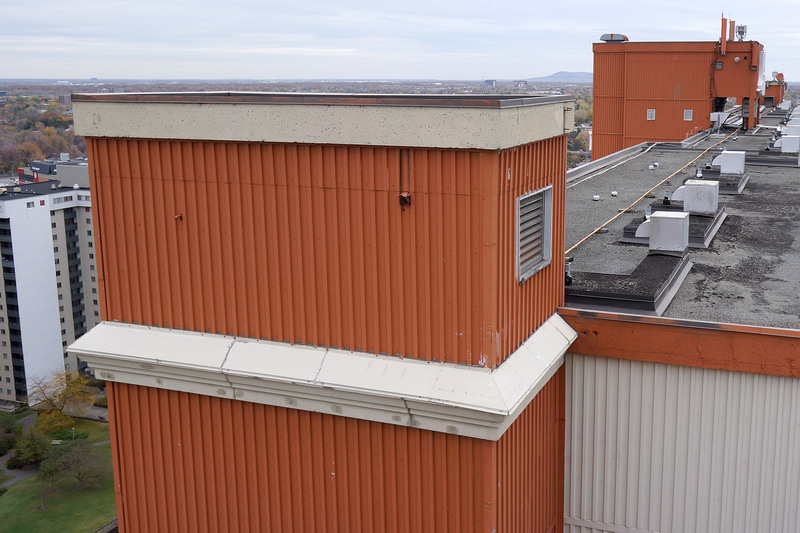 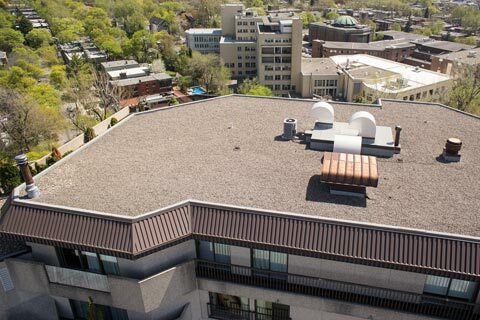 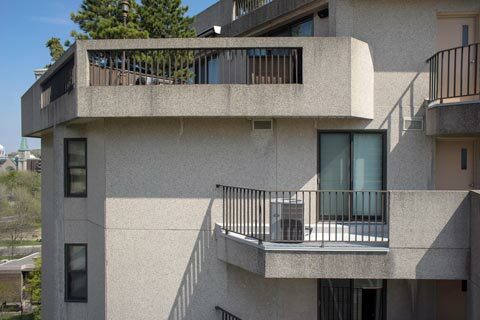 Since most of the inspection work to be done is located at heights, it may be difficult or even impossible for an inspector to access the entire envelope of a building. 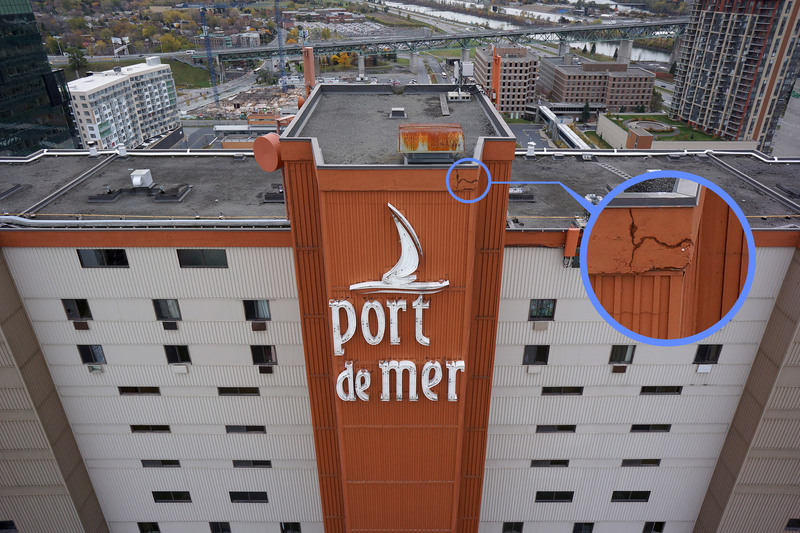 Where an inspector in a lift would take days to inspect a single facade, our precision pilots and our expertise in high resolution aerial photography allow us to scan and digitize all the visible surfaces of a building in just a few hours. 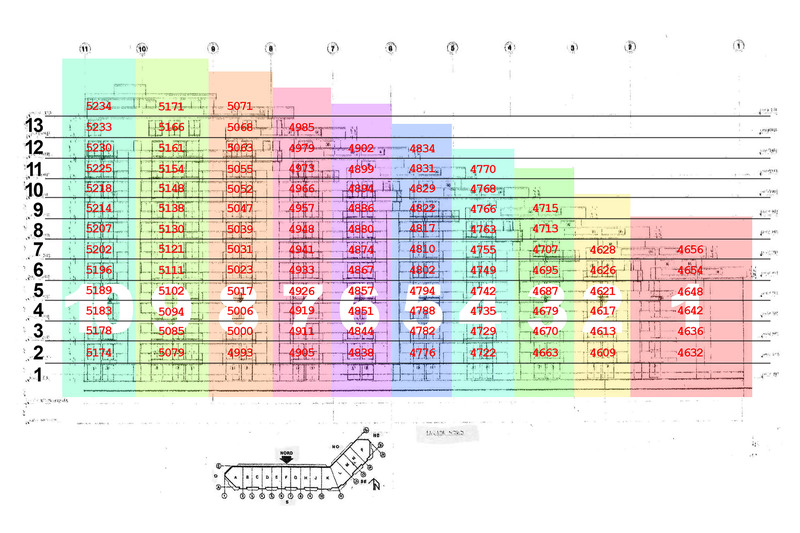 Once compiled, the resulting images make it possible to observe the general state of the structure and to issue a summary statement of all major deficiencies. 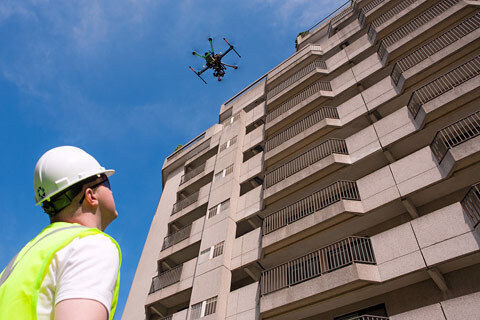 Drones are undoubtedly the inspection tools of tomorrow and are available to you today thanks to our professional inspection services by drone of the facades and the envelope of a building. 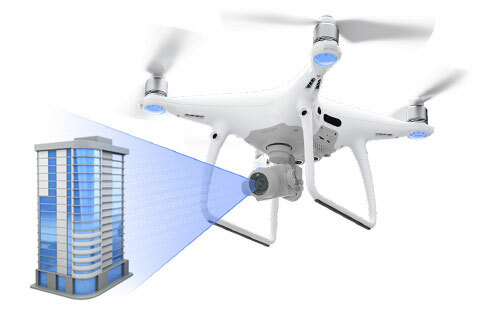 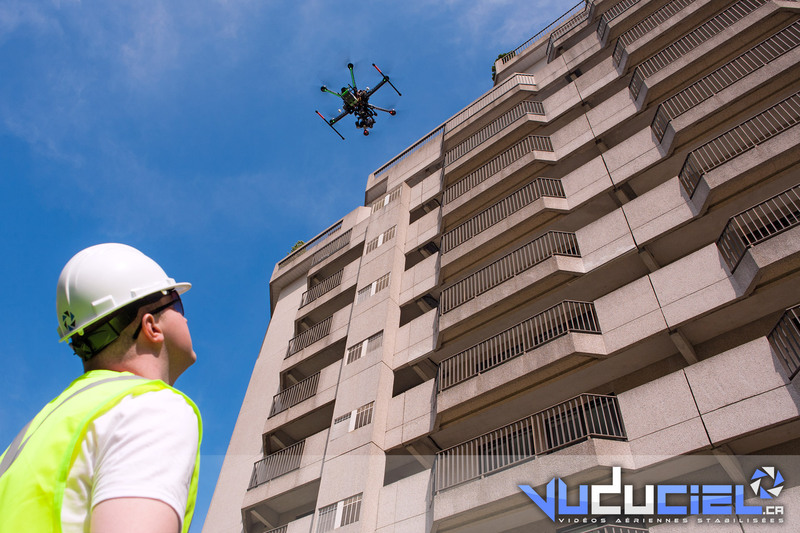 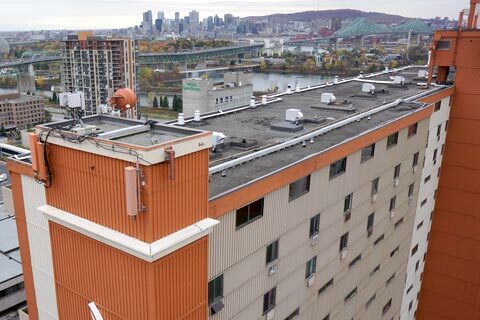 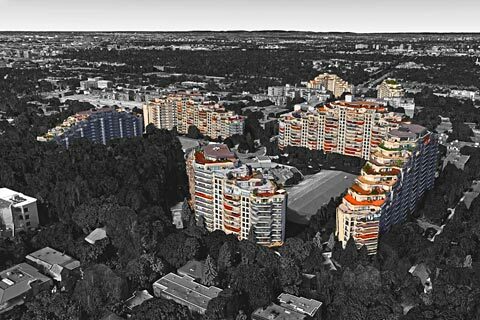 VuDuCiel offers the visual inspection of facades by drone for buildings of 5 storeys or more as an answer to RBQ’s Bill 122 requirements.